Everyone remembers the infamous MSN days of the early 2000’s, an artifact of virtual communication where you’d sign yourself in and out and in again, hoping that special someone on your list noticed your name pop up in the bottom or top corner of the screen. Victoria and Steve’s story began similar to this, an innocent MSN add, only theirs grew past the screen into a close friendship that led into love. And once Steve created the ultimate Skittles pack (all red, Victoria’s favourite!) and gave it to Victoria for Valentines Day, the rest-as they say-was history. Steve jokingly refers to their engagement as “a scavenger hunt 10 years in the making”. He initially planned a scavenger hunt for one of Victoria’s birthdays early on while dating, but circumstances didn’t allow it and instead the hunt became a running joke between them. Steve kept the idea in mind though, and once he decided he wanted to spend the rest of his life with Victoria, he planned an elaborate scavenger hunt including all their friends to pop the question. This hunt took Victoria to memorable places from their youth, to sort out orange Skittles (Steve’s favourite!) and to meet Steve at the end of the hunt with the biggest hug and best gift: a proposal and a ring! Needless to say, Victoria and Steve are the best of friends. They read together, cook together, and enjoy scoping out bookstores together. For their engagement session we decided to re-create a typical hangout the two would have. 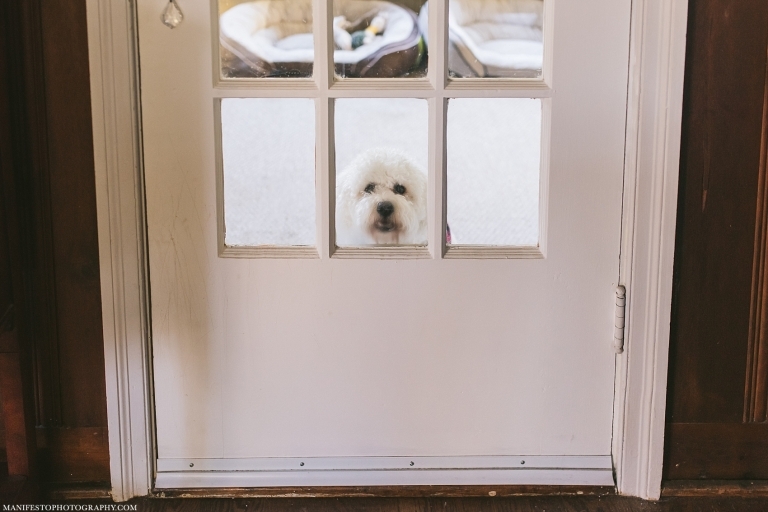 We started in Steve’s family home, the two sitting together reading as they would while Tetley, Victoria’s adorable cockapoo watched the goings-on. 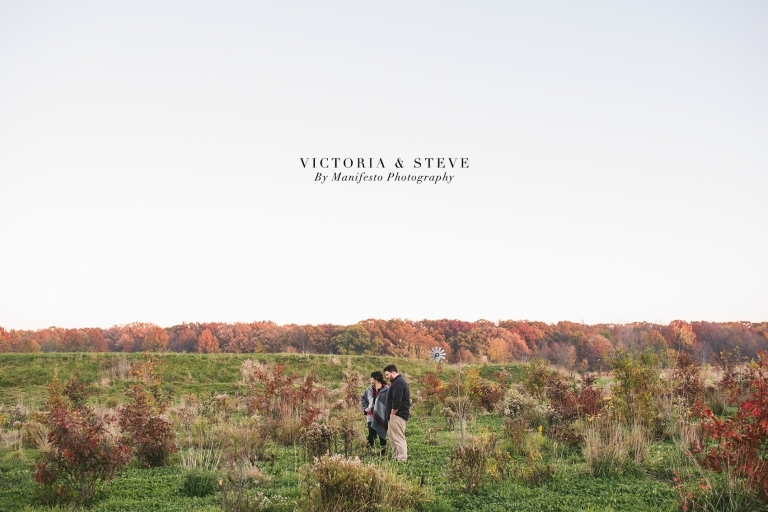 After, we went outside to catch the last light of day and got some shots of Victoria and Steve laughing and holding each other close while walking under a canopy of golden leaves. They’re the perfect fit for each other; warm, friendly, and full of love, theirs is really a friendship made to last. Victoria and Steve, we’re so glad we met you through Jill and Ryan. It is always a pleasure hanging with you and your families, and we are super honoured you chose us to be your photographers. We can’t wait to capture all of the fun times on your wedding day!